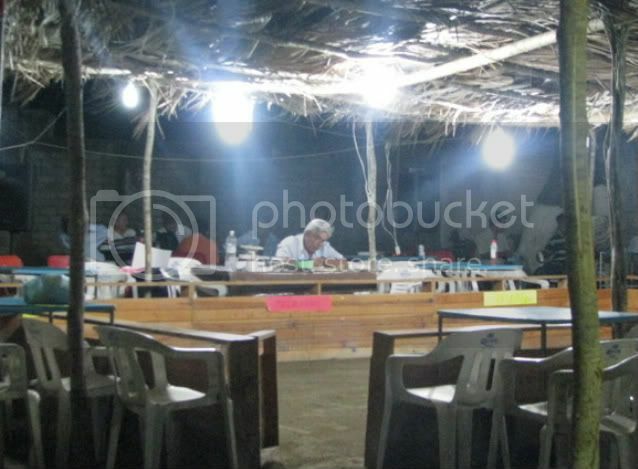 SAN MARCOS, Guerrero-- A judge prepares for a long night of cockfighting. A man behind us at this palenque snoozed while we waited almost three hours for the cockfighting to begin at the Feria San Marcos, near Acapulco. We were working on a story, and though I felt like the only woman there, I wasn't. In fact, a few mujeres were peppered in the sea of male faces. And more surprisingly, children of all ages were present as well, cheering on their favorite bird well past midnight. Though cockfighting seems gross and wrong, you have to remember that I'm from Texas and my parents are from northern Mexico. I grew up seeing goat skin hang on trees in backyards and well, I'll leave it at that. Maybe that's why my hubby didn't even ask if I'd get squemish. A few months ago we discovered an awesome ice cream shop in the magical town of Tepoztlan that has everything from spicy to cactus-flavored ice creams. While taking a walk with my sister through our Coyoacan neighborhood, we stumbled upon the same ice cream chain called Tepoznieves. 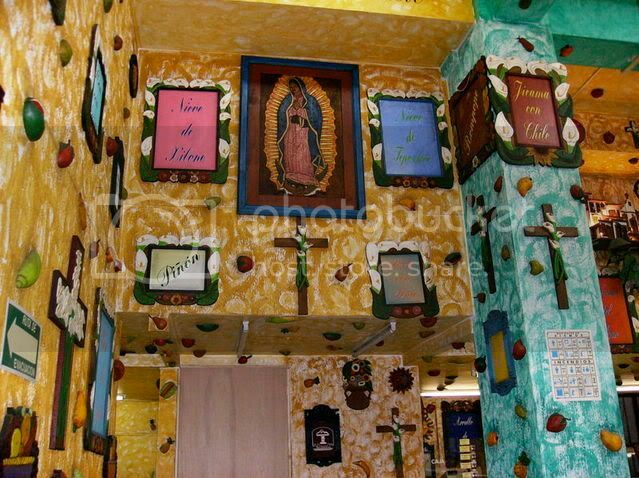 This shop's awesome decor and unique flavored treats make it a new must-stop on the Coyoacan tour. I am now a proud fan of rice-flavored ice cream. Yum! My sister Marisol explored the megalopolis last week when she was here on vacation. From an Aleks Syntek concert to an exclusive behind-the-scenes tour of TV Azteca, we left no stone unturned. 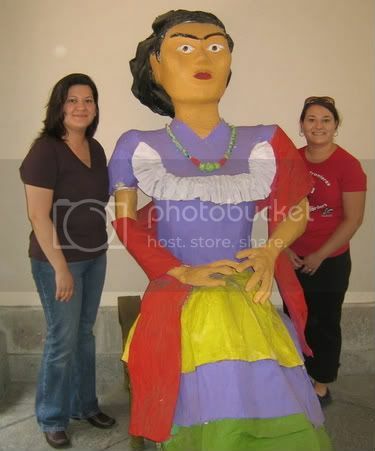 We even met Frida. 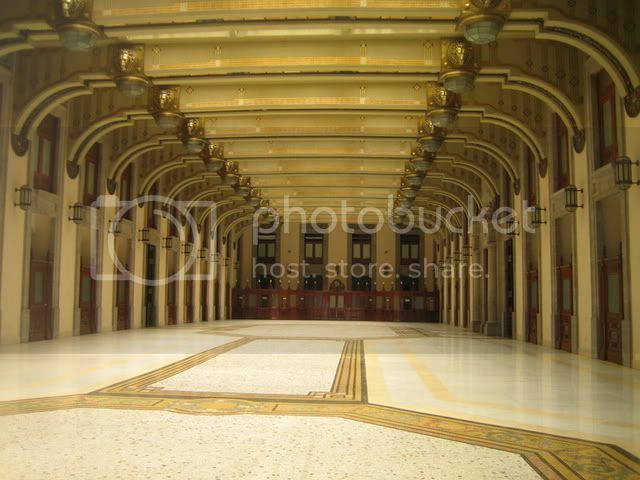 Just imagine doing your banking here. The nation's treasury at the Palacio Nacional in downtown Mexico City blew us away. 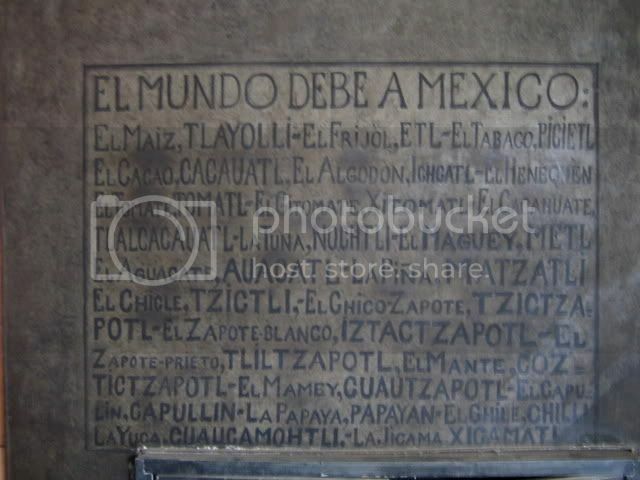 I found this homage to Mexican foods below a Diego Rivera mural at the Palacio Nacional. 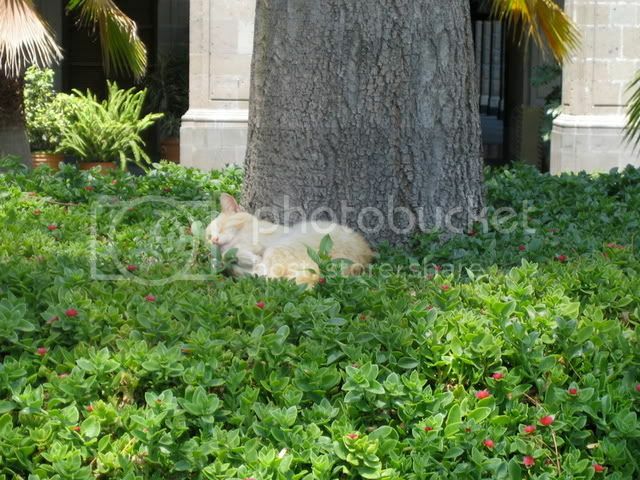 While taking in the amazing scenary at Mexico City's Palacio Nacional, I spotted this cat snoozing. What a life!